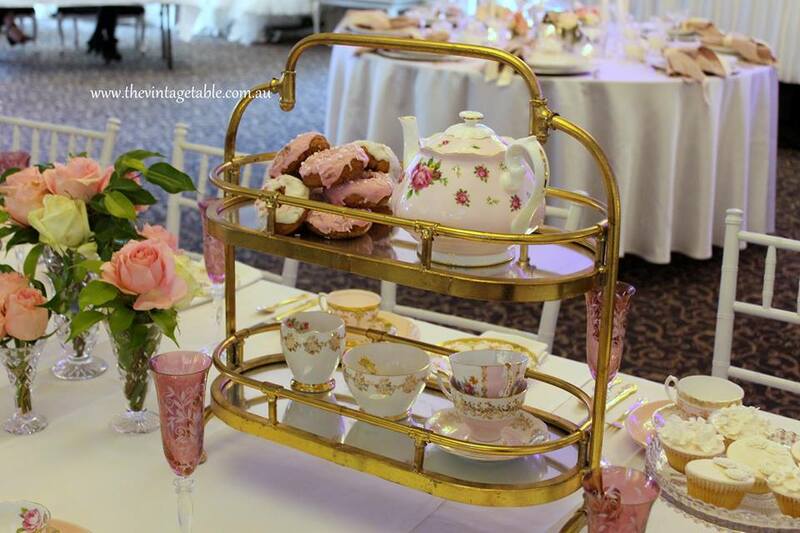 Our second table at the recent Caversham House Wedding Open Day was a pink and oh so pretty bridal shower high tea. 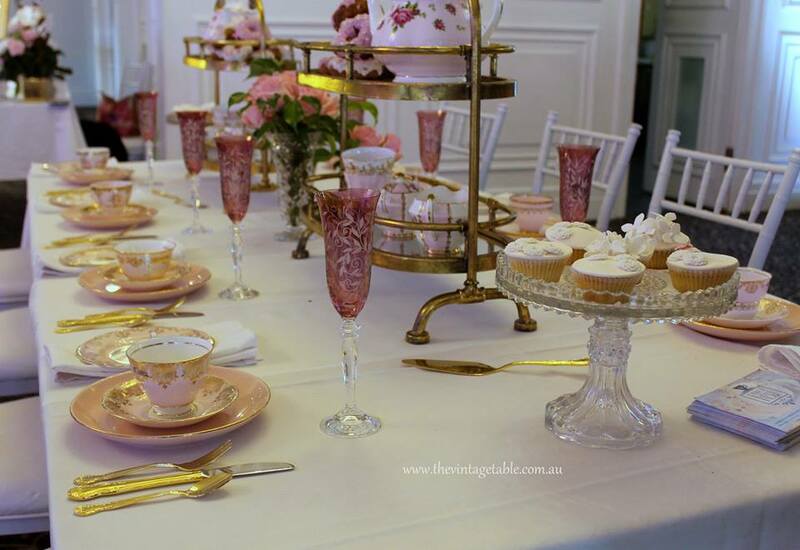 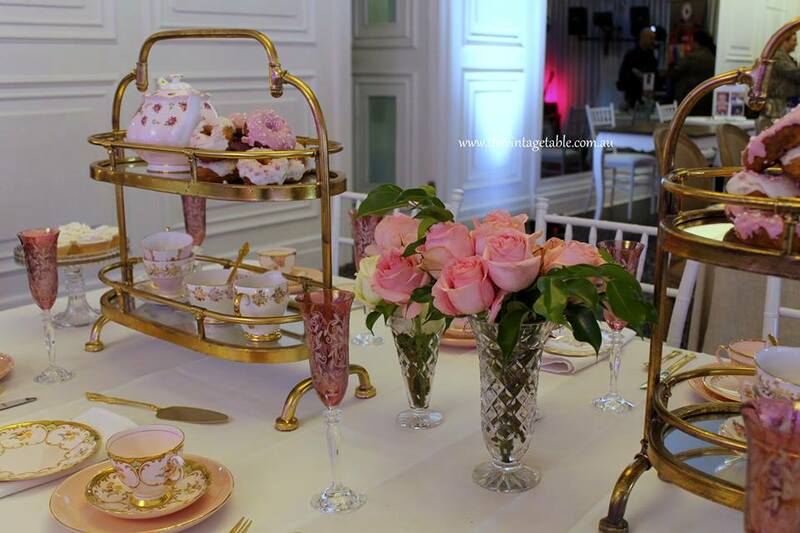 We used our vintage pink and gold teacup sets, pink entree plates, pink crystal champagne flutes, gold plated tea cutlery, vintage crystal vases and cake pedestals, plus our new French patisserie cake stands filled with tea ware and iced donuts. 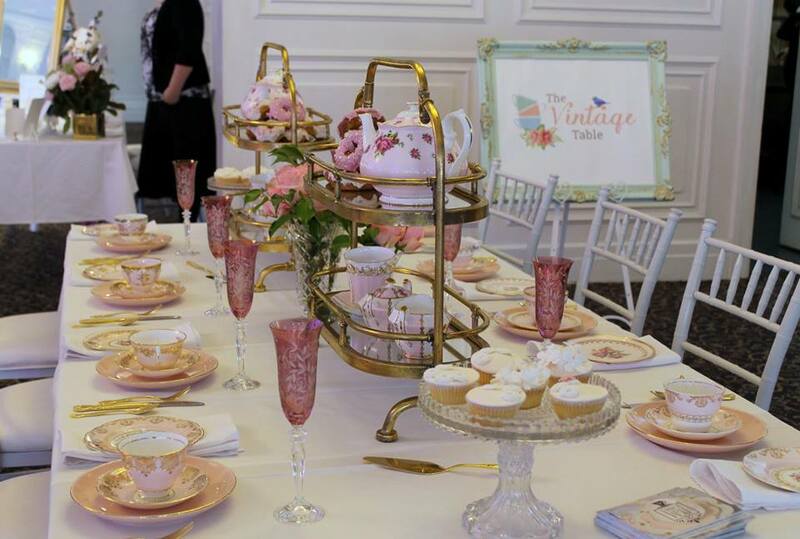 Amy from De La Rosa Cakes & Cupcakes provided the luscious iced cupcakes and the florals were styled for us by Kerri and the Chandelabra team.